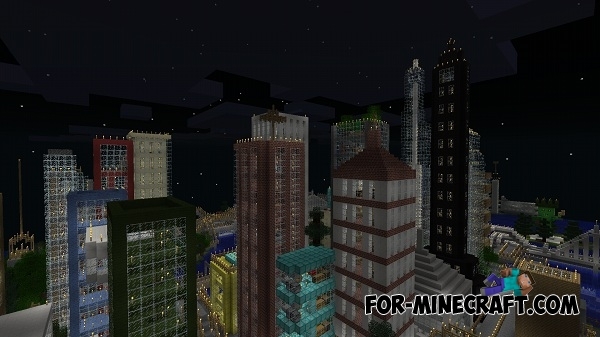 One of the oldest cities for the Pocket Edition! 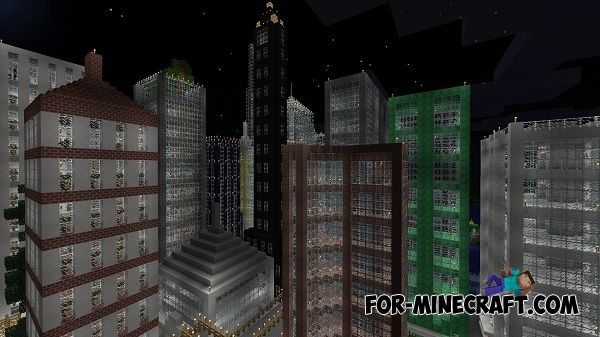 The city design is inspired by New York c. Many skyscrapers such as Empire State Building. 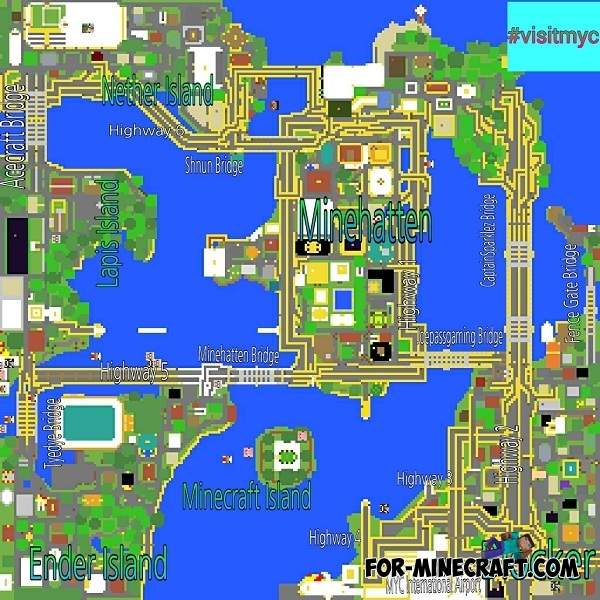 The airport, factories, as well as the highway that connects the large park and the future construction site. 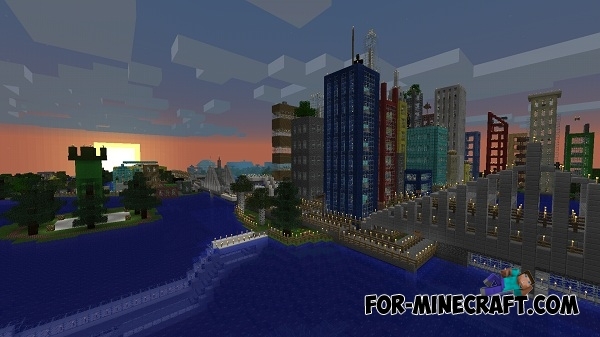 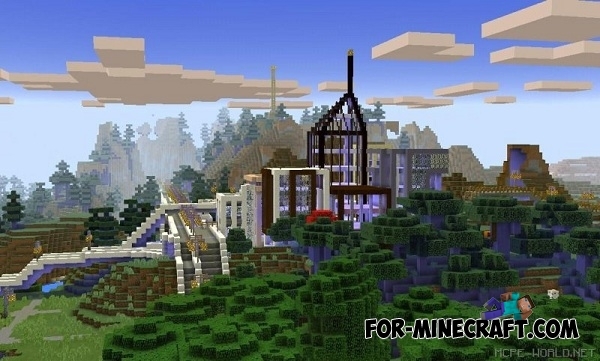 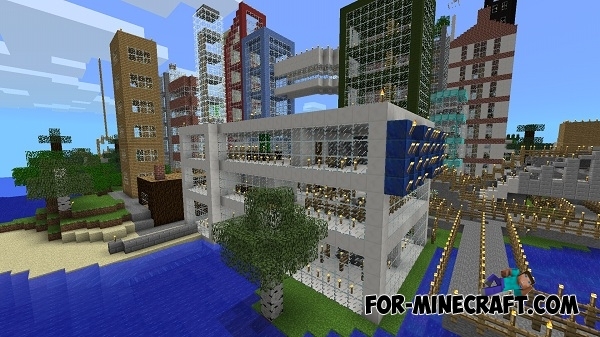 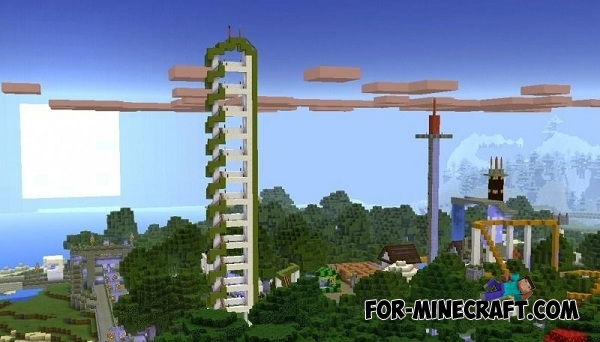 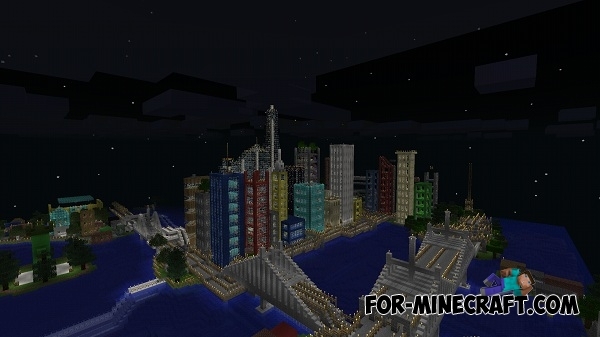 Similar to New York, the city is divided into several areas ("Boro"): Minehatten, Blocker, Minecraft island, Lapis island and Ender island.